Thailand’s largest island, Phuket is one of Southeast Asia’s most popular holiday destinations featuring stunning beaches, clear waters, and vibrant nightlife. 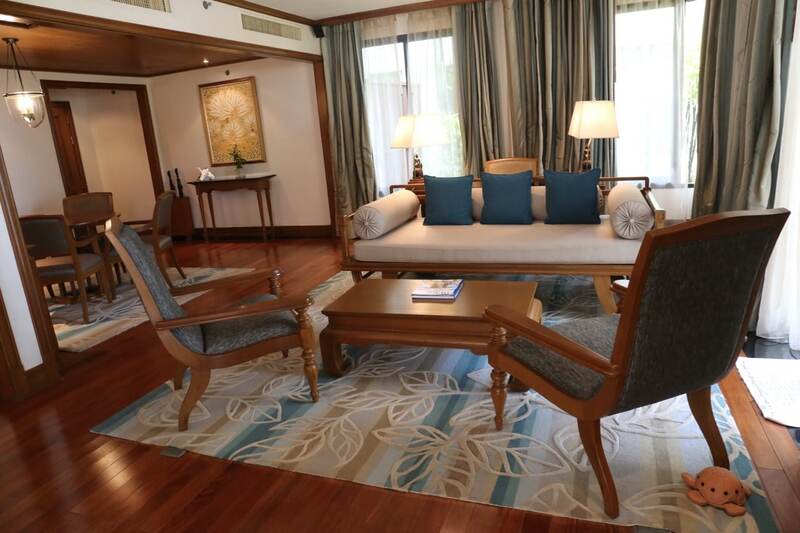 Tan fans looking for a retreat to tropical paradise head to The JW Marriott Phuket Resort & Spa, located on the islands northern tip, overlooking beautiful Mai Khao Beach. Situated within the precincts of Sirinath National Park, Mai Khao Beach stretches for over 6 miles, and is the longest sandy beach on Phuket. The beach is still largely off the tourist map, and is quite tranquil and untouched, especially when compared to the more developed beaches farther south like Patong. For the ultimate in luxury the resort boasts four Oceanfront One Bedroom Pool Suites, designed for those seeking total privacy and the quintessential tropical resort experience. The large bathroom, filled with natural daylight, offers an inviting soaking tub, his-and-hers vanity units and a separate shower. The spacious terrace features sun loungers from which to enjoy breathtaking views of the Andaman Sea, and a secluded Thai-style Sala (cabana) allows private terrace dining including barbecues personally catered by JW chefs. The pièce de résistance? A 18 sqm infinity private plunge pool, a luxurious touch that allows each guest to experience the ultimate island lifestyle. 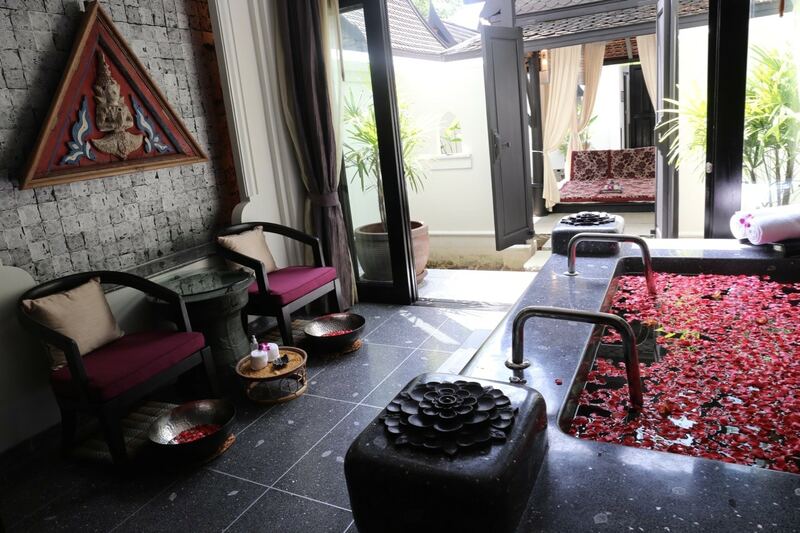 Tranquil, exotic and supremely relaxing, the Mandara Spa at JW Marriott Phuket Resort is spread across more than 17,000 square feet. This stunning haven of rest and rejuvenation is nestled within the resort’s landscaped gardens and offers a variety of luxurious spa suites featuring terrazzo plunge pools and outdoor showers. 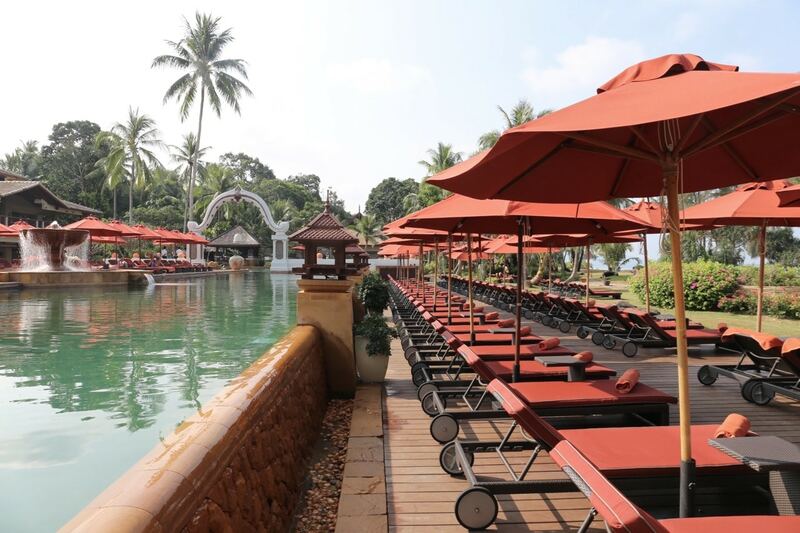 For those looking to take the plunge in between long stretches of sun-soaking, the resort offers three spacious swimming pools featuring bubble baths, hydrotherapy beds, water slides and frothing turtle statues. There are ample umbrella adorned lounge chairs so you can set up your office for the day under the safety of a slice of shade. JW Marriott Phuket Resort sits perched over Mai Khao Beach which is a famous nesting site for sea turtles who come onshore in hordes to lay their eggs during the cool season from November to February. 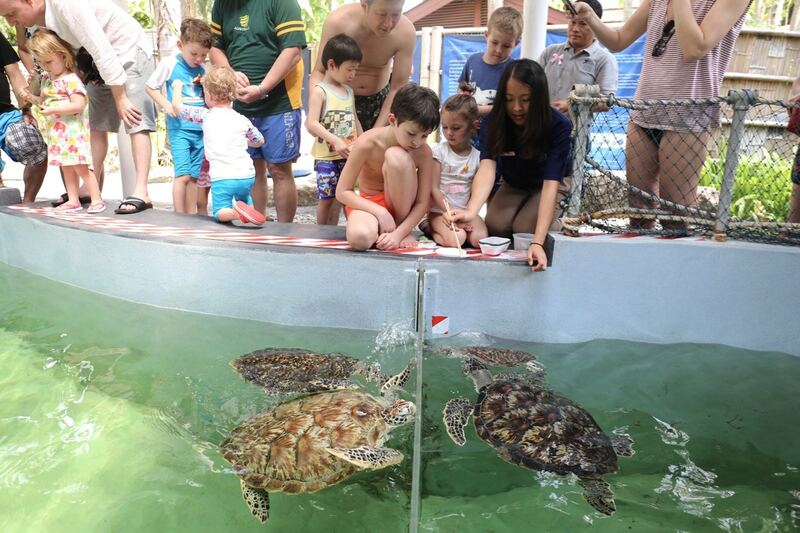 In 2014 Mai Khao Marine Turtle Foundation, in partnership with the Phuket Marine Biological Centre opened the doors to the Mai Khao Marine Turtle Foundation Marine Turtle Shelter & Education Centre at the JW Marriott Phuket Resort. The shelter offers nature lovers an awesome opportunity to learn about the local turtle population during its daily turtle feeding and education sessions. Today there are currently five disabled/injured turtles living at the shelter: two, young, Green turtles, two Hawksbill turtles and one Olive Ridley sea turtle. 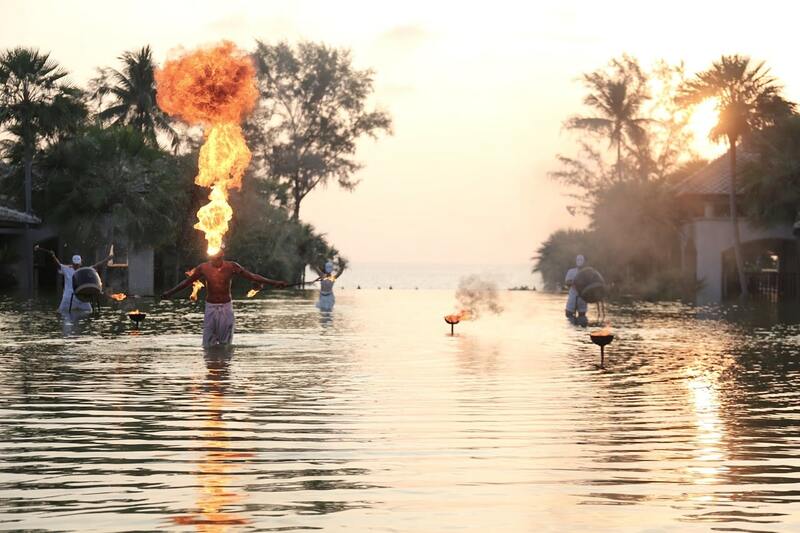 The JW Marriott Phuket Resort’s signature experience is a dramatic Fire Lighting Sunset Ceremony, a 15-minute show performed every Wednesday and Saturday from 6.00 – 6.15 pm. The popular show is staged within the shallow pool overlooking the lobby and represents a ceremonial welcome of the sunset. The performance features two powerful male drummers, a dramatic masked female dancer splashing to and fro and a fire dancer who fumes epic flames. Thailand is one of the world’s most famous destinations for curious culinary fans to take a cooking class. For Westerners the idea of creating your own curry at home can seem a bit daunting as half of the ingredients are often missing in our pantries but after an intensive class one quickly realizes how easy Thai cooking is to master. 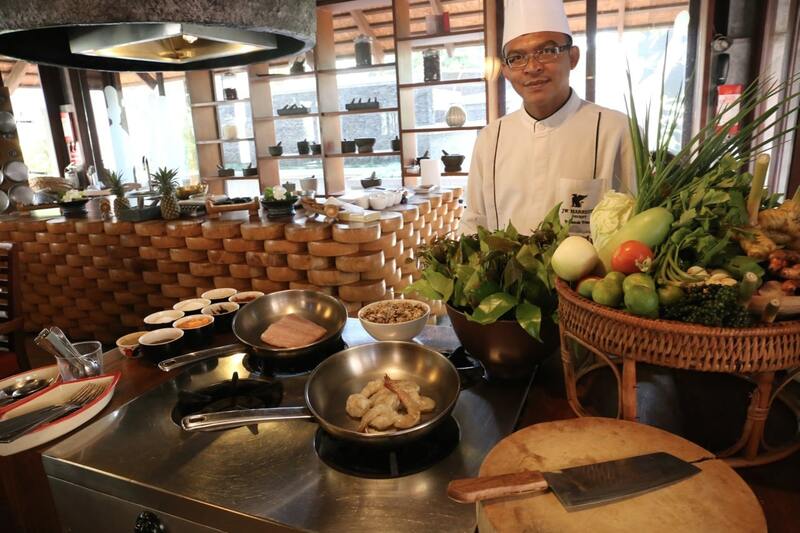 The JW Marriott Phuket Resort offers a fantastic, immersive cooking class experience hosted by the hotel’s resident Thai Chef Tham. Guests begin their adventure by enjoying a tour of the local food market. Led by Chef Tham, we skip across spicy curry stalls, watch as fresh coconuts are transformed into cream and gather groceries for that days menu. On the way back to the hotel guests stop off at Sarasin Bridge, Sai Kawe Beach and the Black Crab Community to see where the chef sources sustainable seafood. Back at the hotel excited students gather into groups at the culinary classroom located nest door to Ginja Taste, JW Marriott Phuket’s signature Thai restaurant. The class spends two hours preparing a selection of authentic Thai dishes before sitting down to a fine feast. Each morning guests wake up to the world at Marriott Cafe’s epic brunch buffet. 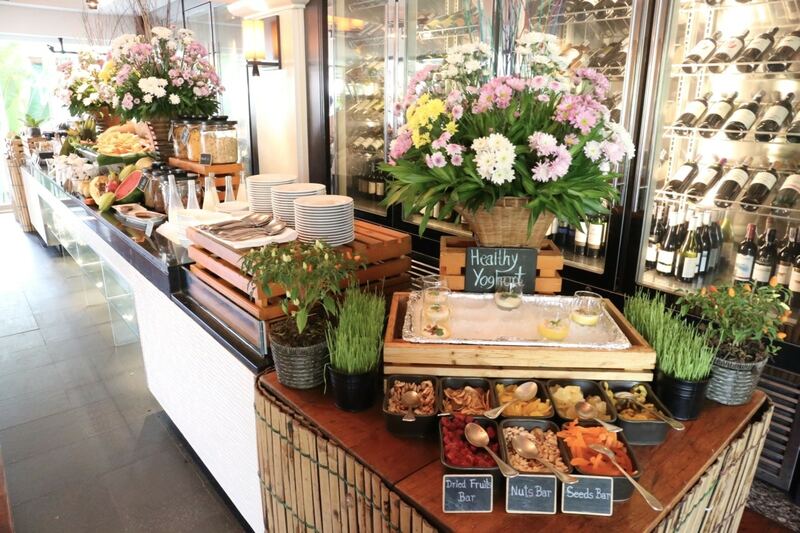 The decadent spread offers a creative blend of eastern and western flavours featuring raw juice bar, fresh tropical fruit, yogurt parfaits, freshly baked pastries, salad bar, aromatic Thai entrees and DIY noodle soup kart. The fine dining restaurant Cucina captures Italy’s vibrancy with its open kitchen concept and a sophisticated atmosphere. Seasonal dishes are created from premium local and imported ingredients, paired with signature cocktails and exceptional Italian wines. 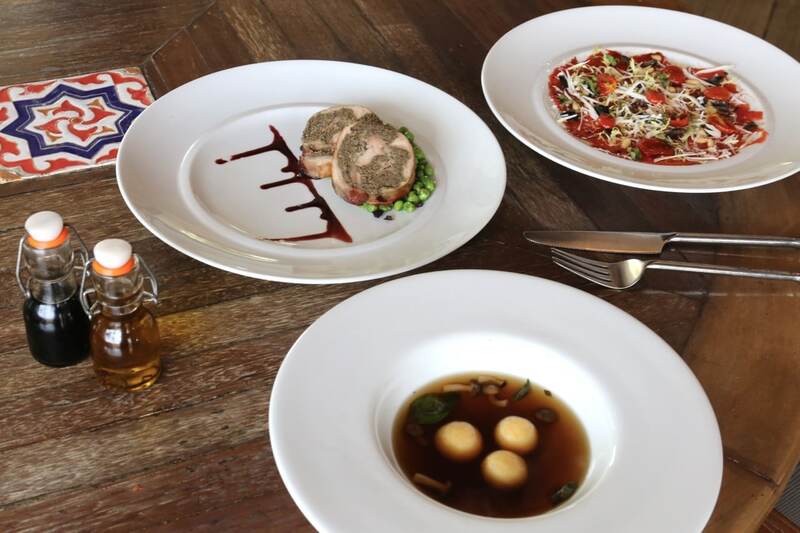 Highlights include classic wood-fired pizzas, handmade pastas and a playful vegetarian take on beef carpaccio featuring compressed watermelon. 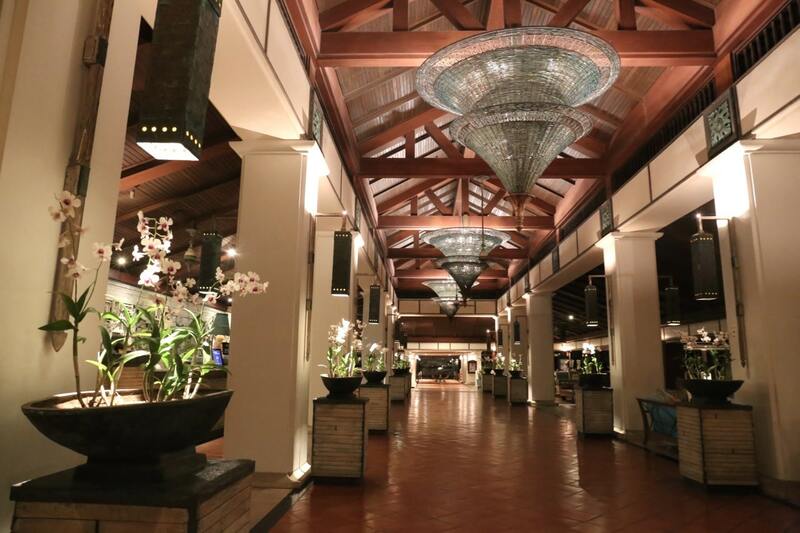 Located off the hotel’s open-air lobby and overlooking the reflection pool, Sala Sawasdee offers a fabulous range of exotic drinks and a selection of unique Asian Tapas. If you’re keen to enjoy a craft cocktail, visit in the evening when a live band offers moody music, a perfect ambiance for a romantic pre-dinner tipple. 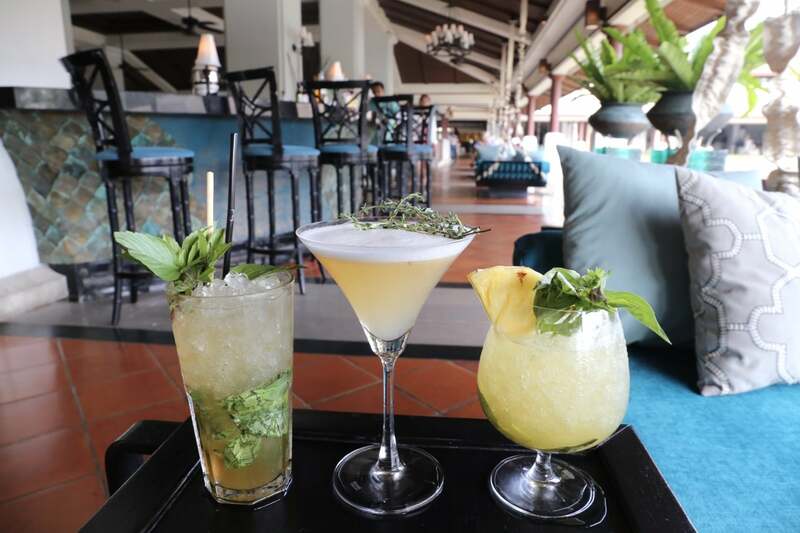 Be sure to order the Thai inspired Mojito muddled with a locally produced rum and perfumed with fresh Thai Basil. For those keen to indulge in a taste of Japan, JW Marriott Phuket’s Kabuki restaurant offers the finest teppanyaki experience on the island. 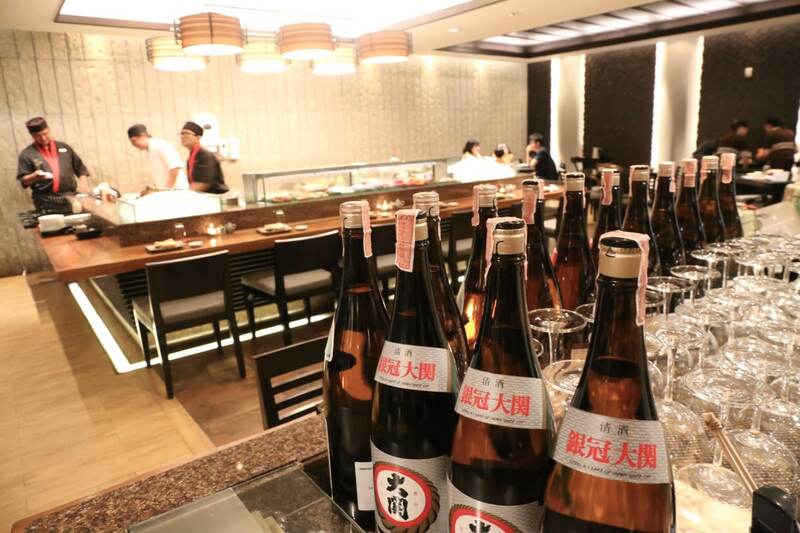 Kabuki is known for its lavish and modern Japanese cuisine, theatrical teppanyaki chefs, delectable sushi bar and fantastic selection of award winning sake bottles. The kitchen sources the finest imported ingredients from Norwegian salmon to Saga Wagyu beef which are served artfully on Kabuki earthenware and superbly complemented by the restaurant’s uniquely attentive Japanese-style service.